Inspired by the paintings of Georges Seurat, Abishai and Micaiah explored painting with dots. You can't see it here, but Abishai is painting a picture with yellow dots. This was not apart of our scheduled curriculum, but extended learning seems to seep in everywhere. I picked a couple of James Mayhew books up from the library to read to the boys for fun. 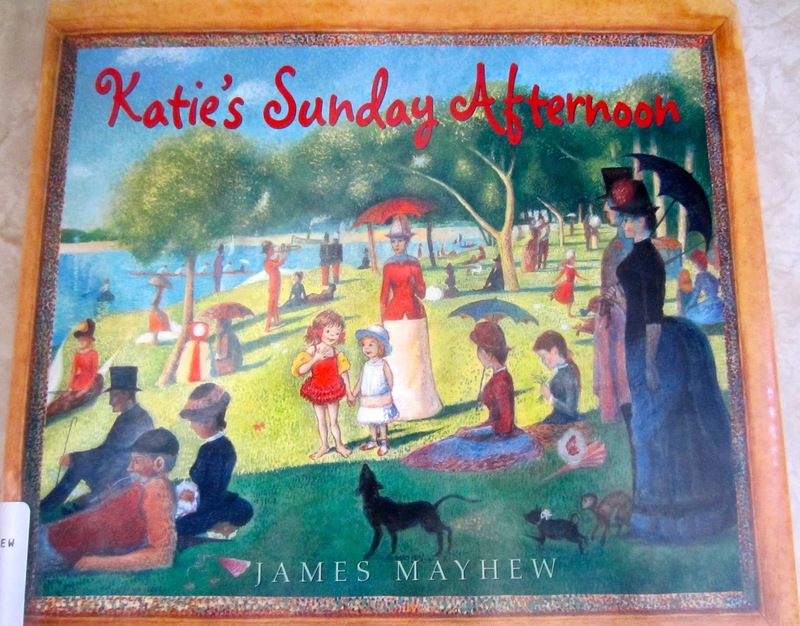 Mayhew writes about a little girl and her grandmother who spend the afternoon at the art museum. While the grandmother takes a nap on one of the museum benches, an adventurous little girl named Katie climbs into the paintings and enters the living world of Georges Seurat's masterpieces. 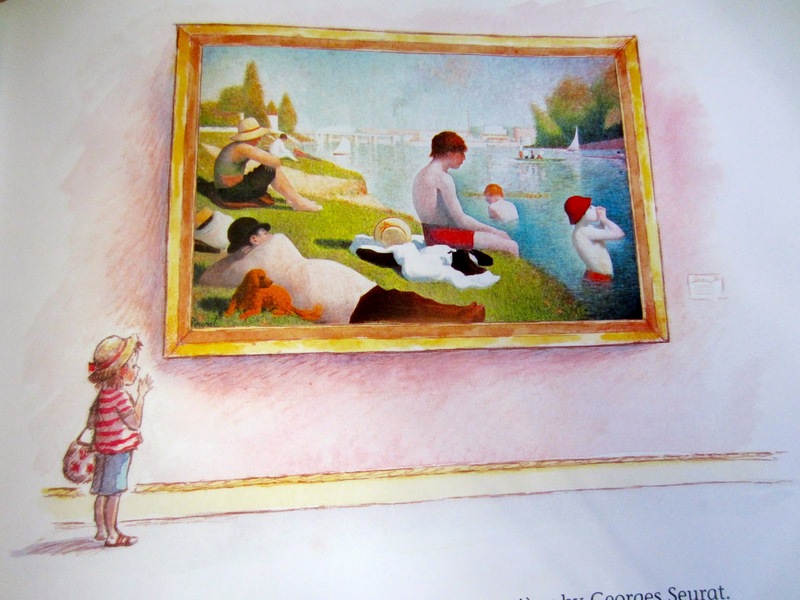 What a fun way to learn about famous painters! 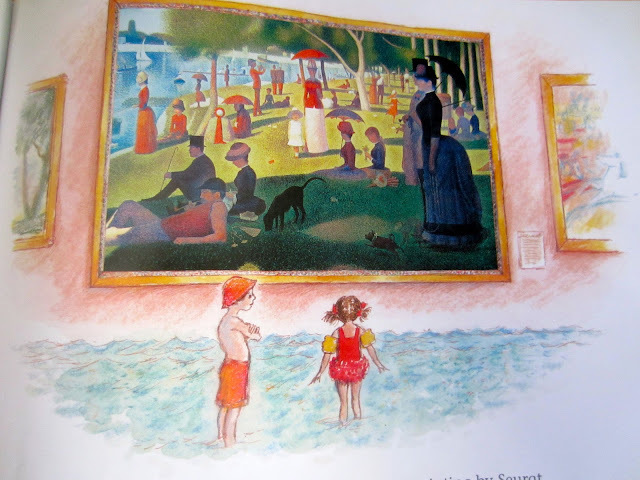 Afterwards, we looked up many other paintings by Seurat online.